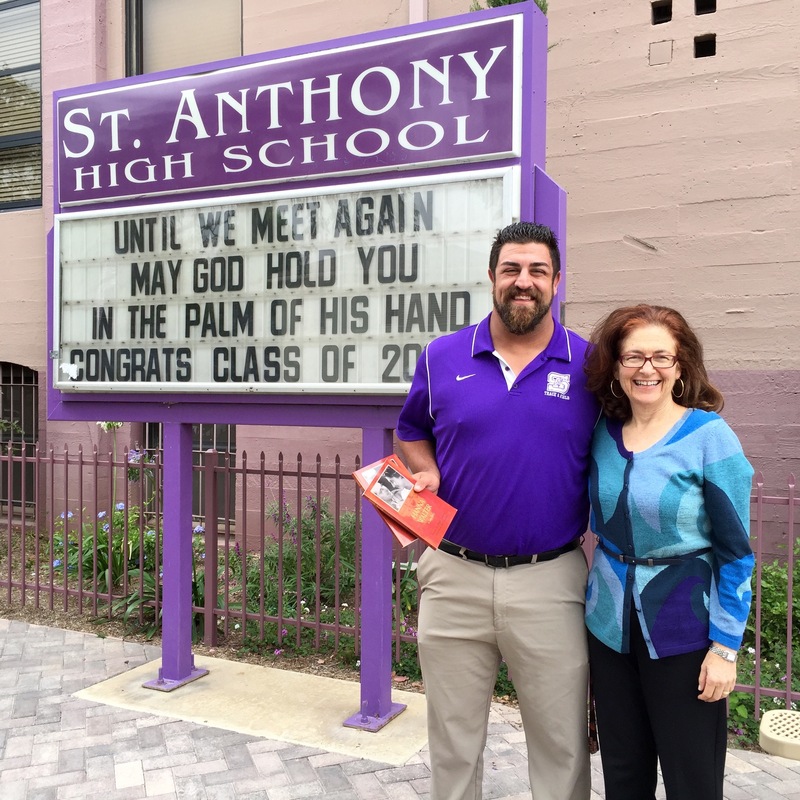 On Tuesday, May 26, VOG’s Julie Kohner was invited by St. Anthony High School, Asst. Principal/Dean of Boys/Social Science Dept.Clay Kennedy to speak to the sophomore class about her family’s story of surviving the Holocaust and sharing the “This Is Your Life” program. 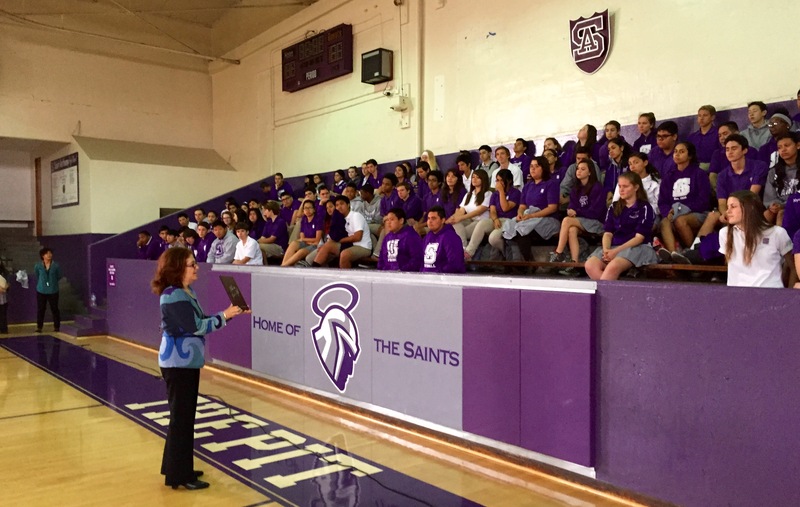 Julie speaking to the sophomore class at St. Anthony High School, Long Beach, CA.